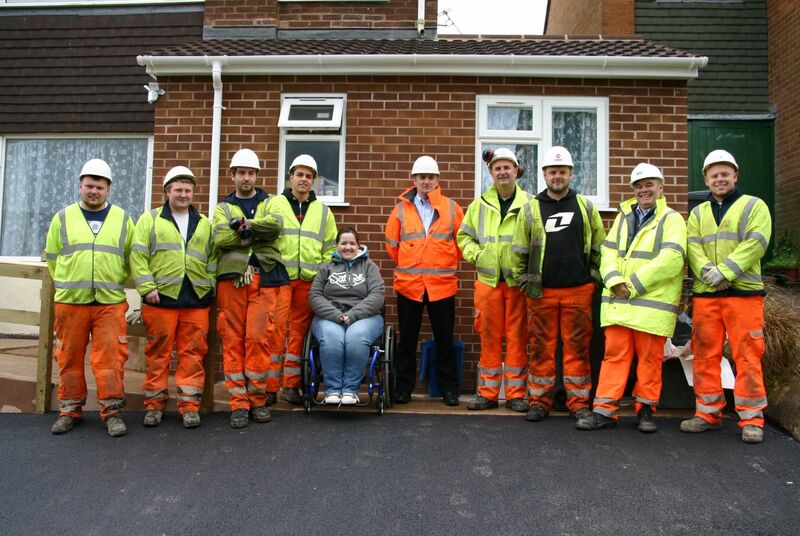 In April, SWH Group Apprentices and Supervisors gave up their time, with the support of the company, to resurface the drive free of charge. Aggregate Industries supplied the materials and Angus Hamilton from the Construction Industry Training Board (CITB) and Sean McMahon from SWH Group worked together to co-ordinate the project. This entry was posted in Apprenticeships & Training, In Our Community and tagged apprentices, volunteering, in our community by Sarah Cole. Bookmark this permalink.